Veterinary experts recommend spaying and neutering of dogs and cats to prevent health problems and to improve some areas of behavior. Neutering is a relatively easy surgical process that pets bounce back from quickly. 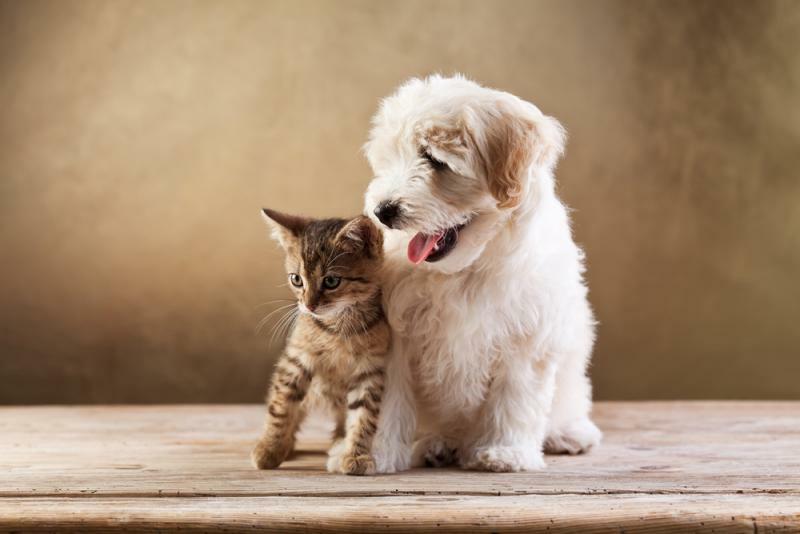 Fairway Knolls Veterinary Hospital has provided this care for male animals for many years and can ensure a safe procedure and easy recovery for your pet. The neutering procedure involves removing the testicles of the male animal. Neutering is beneficial for male cats and dogs for several reasons. First, it eliminates the risk for testicular cancer and some prostate problems. It will also help to keep your male dog or cat from roaming or escaping the home to look for mates. Neutering reduces the amount of testosterone in the animal’s body, so it may also reduce aggressiveness, and in the case of cats, spraying their territory. Neutering also helps to reduce the number of new kittens and puppies that community animal control services must control and euthanize. For all these reasons, neutering your cat or dog is a good idea that helps you, your pet and the community. The animal will be given medication to induce sleep and to help with pain. The procedures are relatively quick for male animals. The anesthetic wears off quickly, and the owner can bring the animal home the same day. You should keep your pet in a separate area, away from other animals, to allow it to rest and recover. Check the incision to ensure it is healing normally. Recovery generally takes just a few days. The veterinarians and staff at Fairway Knolls Veterinary Hospital have years of experience working with animals and take pride in providing gentle, professional care for their patients in Bloomington, IL and nearby communities. We provide a wide range of veterinary services and can ensure your pet is safe and well cared for during their surgery. Call Fairway Knolls Veterinary Hospital today at %CLIENT_PHONE% for an appointment to discuss the benefits of neutering for your dog or cat.